Glorious sunsets, the dragons of Komodo Island, the coloured lakes of Flores, Balinese dancers, ancient temple sites and bustling multicultural cities are just a few of Indonesia’s attractions. Come and pick your next Accommodation holiday home. One of the most interesting tourist attractions is the “Beautiful Miniature Park” popularly called “Taman Mini”. Built to portray the variety of cultures found within the many islands contained in the Republic of Indonesia. 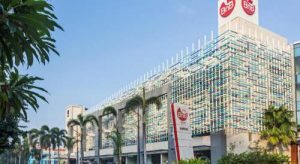 The main 35 Hotels found in Bali Kuta Mercure Kuta Bali Centrally located in the centre of Bali, this stylish hotel is surrounded by restaurants, shops and entertainment outlets, with the famous Kuta Beach only steps away. 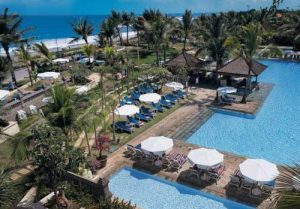 Holiday Inn Resort Baruna Bali Opened in early 2009 and designed in a modern Balinese style, this relaxing resort is located on large terraced tropical gardens situated along a white and sandy beach. Listing of the 13 Hotel Destinations found in Nusa Dua. 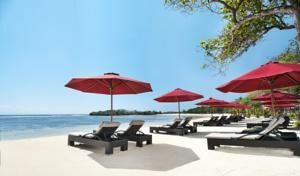 Nikko Bali Resort & Spa Situated in Nusa Dua, the luxurious Nikko Bali Resort overlooks the beautiful Indian Ocean and is only five minutes’ ride from a world-class golf course and shopping centre. Holiday Homes Selection of Holiday villas Bungalows for your next special Vacation in Indonesia. May to October is the driest time of the year to visit. Accommodation listings contacts Youth Hostels In Indonesia Juniorexpat Hostel Jakarta The Jayakarta Yogyakarta Hotel And Spa The Jayakarta Yogyakarta offers 129 well-appointed rooms and suites, including Junior Suite. Bloo Lagoon Sustainable Tourist Village Youth Hostel An international village, a combination of home, studio, and shared resort. Indonesian local dishes Street Food In Indonesia. Watch the videos and possible even have a try yourself. This is the Index from Take-A-Break-Holidays covering Hotels Villas to Rent in Indonesia Jakarta Hotels Bali Hotels Adventure and Activity Holidays Sight-Seeing Tour In Nusa Dua Hotels plus Youth Hostels in Indonesia. Lonely Planet Indonesia (Travel Guide). Lonely Planet Indonesia is your passport to all the most relevant and up-to-date advice on what to see, what to skip, and what hidden discoveries await you. Marvel at the world’s largest lizard – the Komodo Dragon, hop on a fast boat to the Gili Islands, or enjoy a Balinese dance performance; all with your trusted travel companion. Get to the heart of Indonesia and begin your journey now! Jakarta is the most Westernised and happening of all Indonesia’s cities with bars, discos and clubs. Or you could see the Wayang Kulit (Leather Puppet Shadow Play) – storylines are usually based on the Hindu epics. Also see Wayang Orang (Dance Drama) and the Ramayana Ballet – most visitor-friendly places will have shows of these various cultural delights. On Bali, Kuta Bay has wild resort night life. 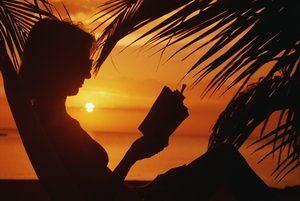 Lombok, Senggigi is the only place island with any energetic nightlife although the nearby Gili Islands are a haven for beach-loving socialites. On Sumatra Samosir, a lake island, has long been Sumatra’s top travellers’ destination and has accommodation and eateries galore. 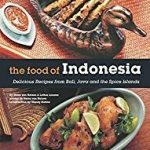 With such a diverse ethnic mix, Indonesia was always going to have a rich and varied cuisine. From the humblest street stall to the plushest restaurant there are very few places where the food is not a delight – if you like spicy cuisine. The main influence is Chinese, with rice as the staple, and chilli prominent. The quality and range of fruit is mind-boggling – much of the produce is only available on the islands so eat your fill. The Dutch spent a disproportionately large amount of energy building breweries during their colonial period and, as a result, Indonesian beer is very good indeed. Indonesia is a great place to buy arts and crafts with an amazing range of products at bargain prices. Wood carvings, batik, ikat (woven cloth) and pottery are all beautiful and excellent value. Yogya is best place to shop in Java, whilst on Bali, Kuta’s Jl Legian has mile upon mile of enchanting shops. Always bargain – but remember that haggling is an art, not an argument. Take the kids to see it all at a glance at the Taman Mini (Indonesia in Miniature Park) in Jakarta. Kids should love all the puppet theatres, dancing and gamelan music (although their attention span may make their ‘love’ short-lived). Bali resorts are mostly aimed at the 18-30 market, but it also has hotels with children’s facilities and babysitters – check with your tour operator. Java is also good for kids. Indonesian Embassy, 38 Grosvenor Square, London W1K 2HW. Tel. 020 7499 7661 ask for ext. 5949. 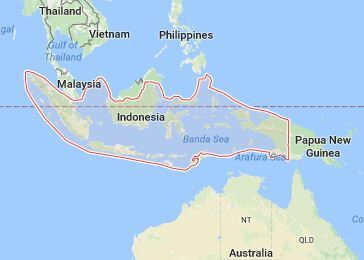 Small travel guide of Java, Bali and Gili Islands in Indonesia. The Complete Asian Cookbook (New Edition). This is a thoroughly updated edition of Charmaine Solomon&apo;ss influential and iconic The Complete Asian Cookbook. Instantly heralded as a classic when it was first published in 1976, it covers 800 classic and contemporary dishes from fifteen countries (India, Pakistan, Sri Lanka, Indonesia, Malaysia, Singapore, Burma, Thailand, Cambodia, Laos, Vietnam, The Philippines, China, Korea and Japan). Written with the home cook in mind, Charmaine’s recipes are straightforward, simple-to-follow and work every time. Recipe and chapter introductions give valuable information about how local dishes are prepared and served, while the comprehensive glossary explains unfamiliar ingredients (which are steadily more commonplace in supermarkets today). The Complete Asian Cookbook is a classic that belongs in the kitchen of every household. Take A Break Holidays takeabreakholiday, Indonesia Accommodation.